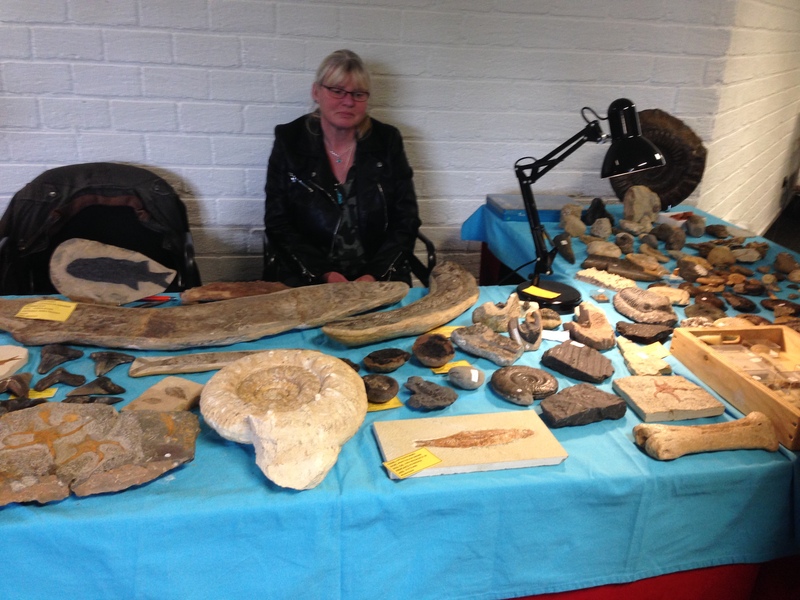 As requested by quite a few people, here is the report of the Fossil Fair in Ede, which happened today (Saturday 11th of March 2017). 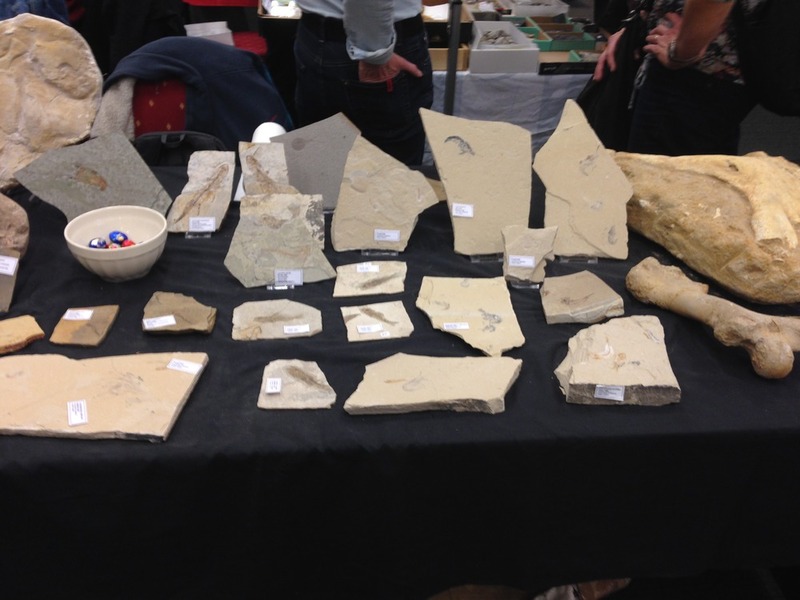 It was a very fun fair with many people, several different organizations were present, a building filled with fossils from all over the world, and tons of amateurs and professionals buzzing around. 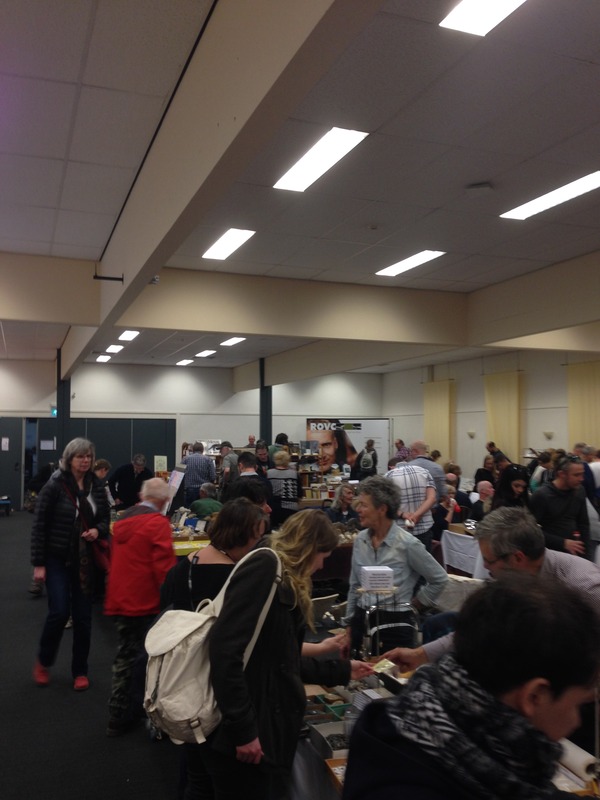 It was quite busy, but the ambiance was great, or "gezellig" as we would say in Dutch. 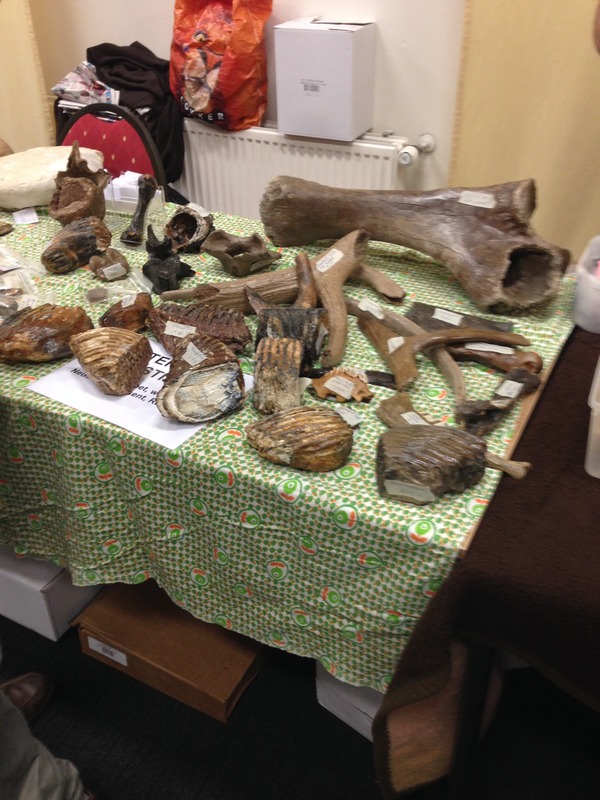 There were many fossils for sale, some at very low prices, and there was also quite a lot of trading. 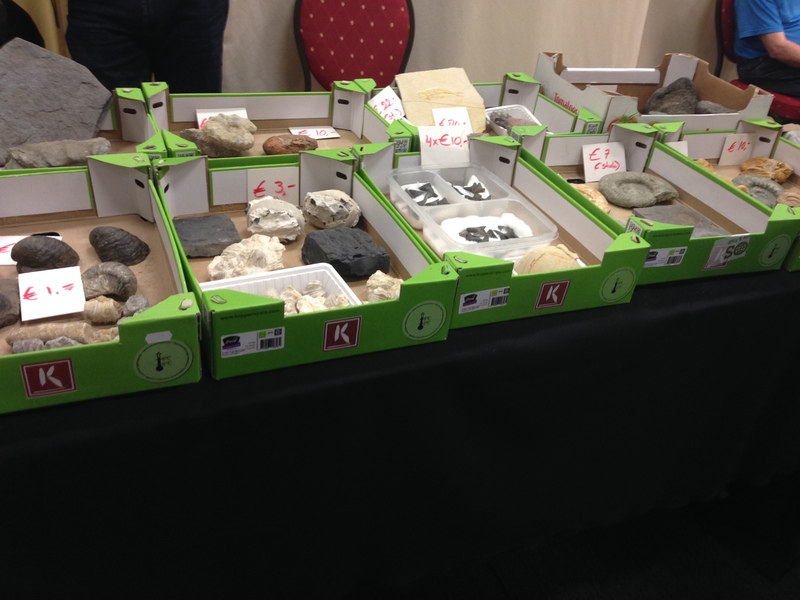 A huge fossil fish for sale! And this is all I brought back from the fair! I brought a lot back, as I got very spoiled by the people there, which were all very generous! All in all, it was an amazing fair, and if you couldn't make it this year, I hope that you can make it in 2018!!! 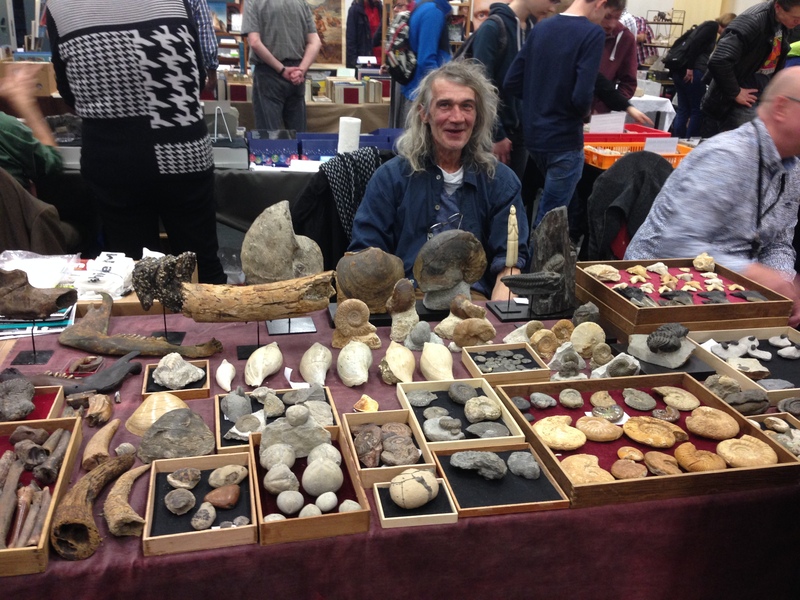 This fair is really the place to trade, buy or sell your fossils, or also to get them IDd! Great report and great pics Max! 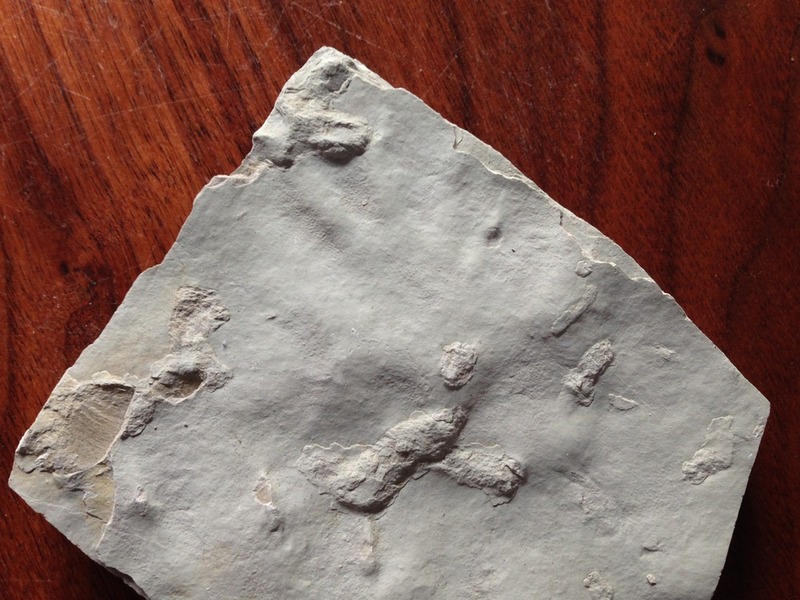 I am glad you had a good time and scored some nice fossils. Thanks for sharing this with us! Thanks for sharing this with us Max ! Looks like a great place ! 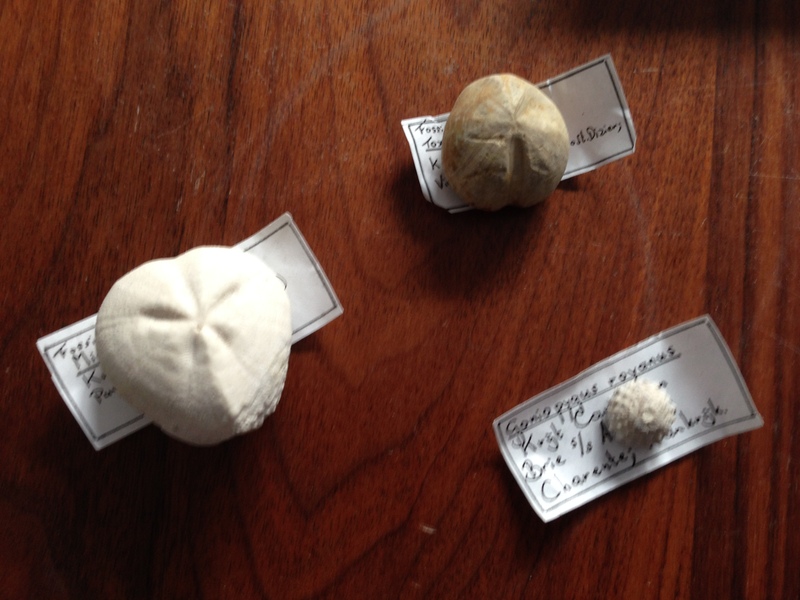 PS: Do you know the where the small brachiopods in the two yellow boxes on your last picture come from ? 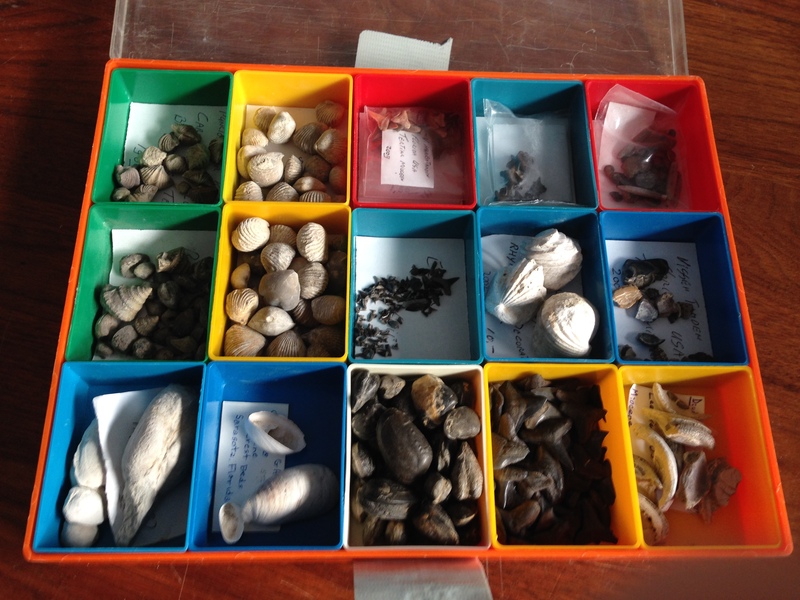 The bivalves come from 2 different locations: the ones on top are from Luc-Sur-Mer, and the ones beneath are from Lion-Sur-Mer. They're very nice in my opinion! Thanks for bringing us along Max! Looks like a great time to be had! that big fish is awesome. 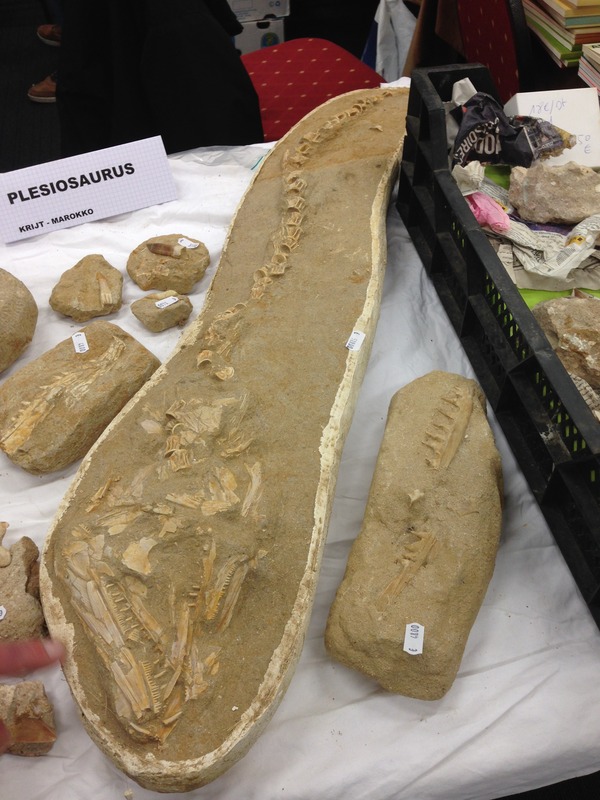 An amazing partial plesiosaur for sale! That's a fish. the Plesiosaurus label was for the tooth above it. 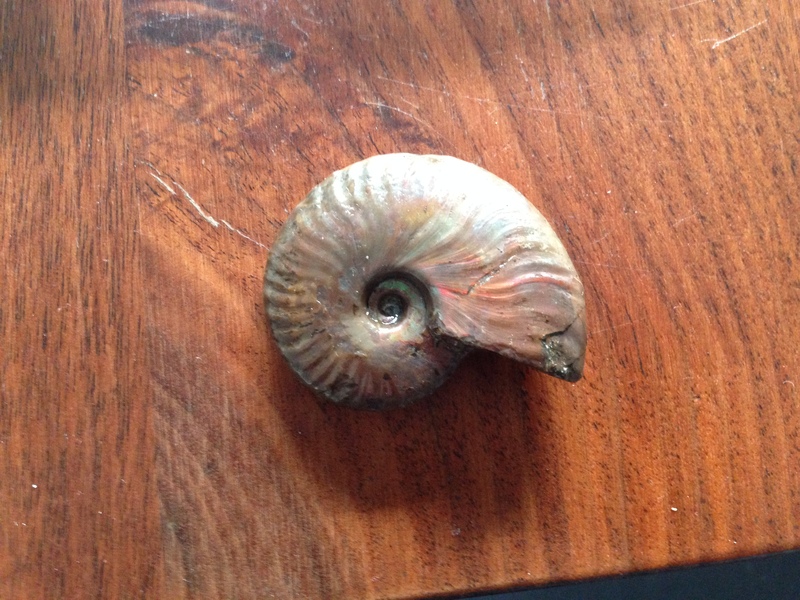 The seller is also a member of this forum and has great Moroccan stuff. I made some photos as well. 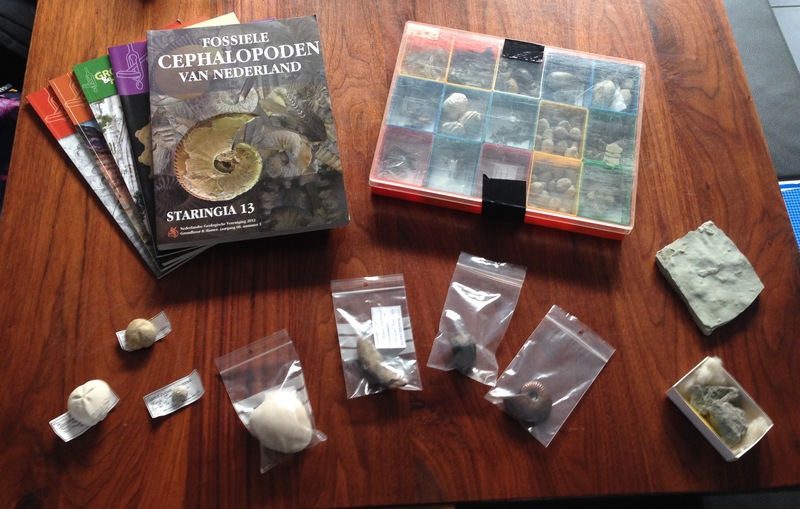 But still need to make some photos of my haul. I'll post them tomorrow. 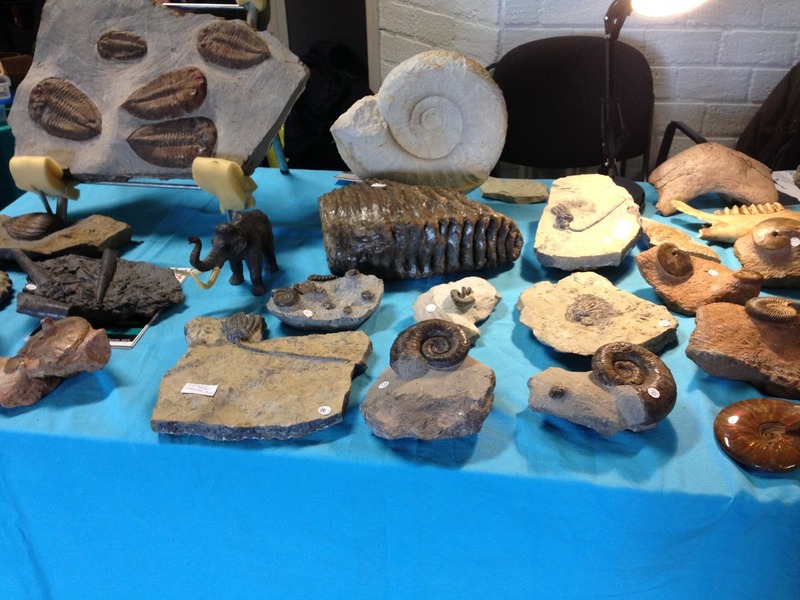 Looks like a nice fossil show. And You really scored with all those wonderful acquisitions! PS @LordTrilobite looking forward to seeing what You got there! Thanks for posting all the pictures Max. Looks like it was a fun show! It was indeed very fun! Edit: just realized it was actually at 590 euros, a great deal!!! Once again: oops! Thanks! And I'm also interested in what Olof got, I suspect that he bought/traded some great things!